ST. GEORGE — Main Street has been conspicuously quiet on the first Friday of each month since Georgefest went on hiatus in December 2017. The popular downtown St. George street festival is receiving what city officials are calling a much-needed facelift after some festivalgoers and area business owners complained about its most recent iterations. The St. George City Council voted Thursday to continue funding the event, scheduled to relaunch March 2, after the Georgefest Organization’s management was restructured to implement changes. 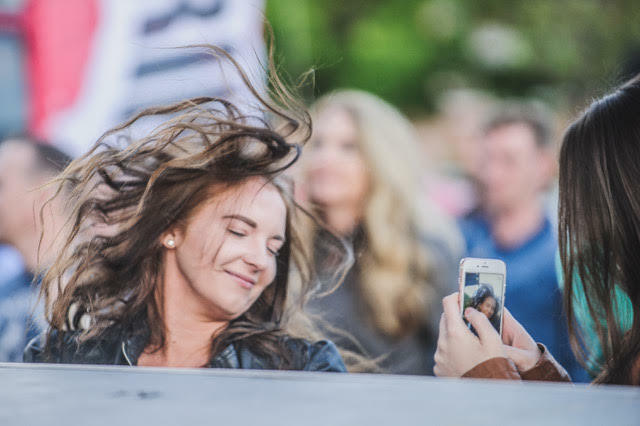 Georgefest, billed as a nightlife event designed to celebrate the best of Southern Utah, operates on a portion of Main Street south of St. George Boulevard and features live music, street vendors and other entertainment. 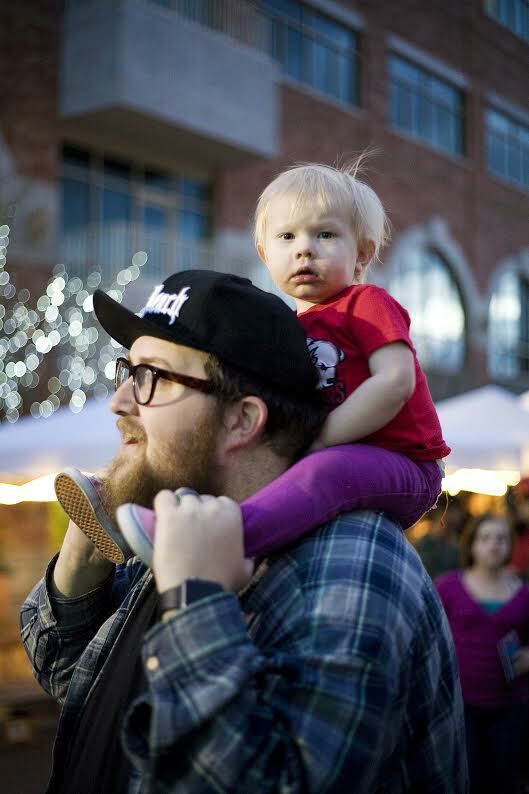 In recent months, some area business owners have come to refer to it as a “free babysitting” event as teens and younger children were loose to wander the festival unsupervised. Councilwoman Michelle Randall surveyed all of the surrounding business owners, and she said almost all of them expressed frustration with unruly children who don’t buy anything and loud, often inapplicable music, referring to a separate “Jazz Garden” venue at Green Gate Village that had recently begun featuring non-jazz artists. Current Georgefest Chairman John Kessler said he has taken the feedback into account and hopes to revitalize the event. “We have some great talented people with backgrounds in marketing and advertising and event planning,” he said, noting that event planning professional Carrie Bunker has stepped in as the festival’s interim executive director. Kessler said the event has been redesigned with venues targeting families in the early evening and adult audiences at the Jazz Garden throughout the evening. Organizers are also working to give the brick-and-mortar stores along Main Street greater visibility while still allowing street market vendors to offer food and crafts. The City Council voted to fund the event from March 2018 to October 2018 at a rate of $2,000 per month with additional in-kind contributions in the form of policing and traffic control. “I’m willing to give this a second shot and hope for a great improvement, and if not, I’m not approving this again,” Randall said before voting to approve the sponsorship measure. It’s the same thing in restaurants all over St. George. People take their 12 kids out to eat and let them run around like a bunch of idiots. This is the only state I have seen this type of behavior from parents. If you can’t handle one kid you should probably stop having more. Furthermore, if your kids can’t behave in public let’s keep them at home so other people can enjoy themselves. “If you can’t handle one kid you should probably stop having more.” Problem is many of these parents pump out another baby every year and a half, give or take. By the time they realize they can’t handle it, they already have three. I will happily continue to bring my children and let them run around, not because I’m a bad parent, but because they are kids, not robots! This event is supposed to be for families. If you are “inconvenienced” by being around children then go to a bar or something because this event (and probably state) isn’t for you. We have kids because we actually love kids and we like to let them be kids. Right, but no one should be burdened by your children except for you. Especially in public. I agree! Seems as though most parents in Utah – I assume LDS – display a Laissez-faire attitude towards parenting. But it’s hard to be a responsible parent when you have 9 kids. In the past unruly kids have always ruined fun events. Maybe they need to start giving out fines to the parents. I really love this idea! Fine the parents! Maybe they will be more likely to keep track of their kids then. Every time there’s an event going on in St. G. I think I might attend and then I see “activities for the kids,” so I don’t go. If possibly there is something happening on a SUNDAY there’s a slim chance it will be quieter! If there’s free food or free food SAMPLES you can count on the whole family being there. ‘free babysitting”? 100% correct. But that goes for virtually any event around here. My husband and I have not been to a movie theater in over ten years. We grew weary in even “R” rated movies toddlers and youngsters running up and down the isles and kicking the backs of chairs. no thanks! Really misery in this case does not want company! Same here. I have been to maybe 3 movies in the last 15 years–because screaming kids running through the theater absolutely kills it. And the attitudes of parents in this place is just ridiculous. Much easier to just say “it’s all about the children” than to actually, you know, parent them. I agree. I’ve not been to a movie in this town for years. Last time I went, we had assigned seats. We were right next to a child that was not only kicking his feet, but he had flashing lights on his tennis shoes! It’s like having someone flash their cell phone off and on in front of your face for the entire movie. Mama didn’t even look in his direction! I fly Southwest because I can choose to move my seat away from some annoying child! I, too will not attend an event that is “family friendly” because the parents just can’t be bothered to control their children. I work hard for my money and I won’t pay to be aggravated.